Application : skin cleaning and disinfection before injection,infusion ,transfusion and minor wound care. Diabetes patients need to perform strictly control over blood sugar, and insulin injection is the most effective treatment measure with minimum adverse reactions. 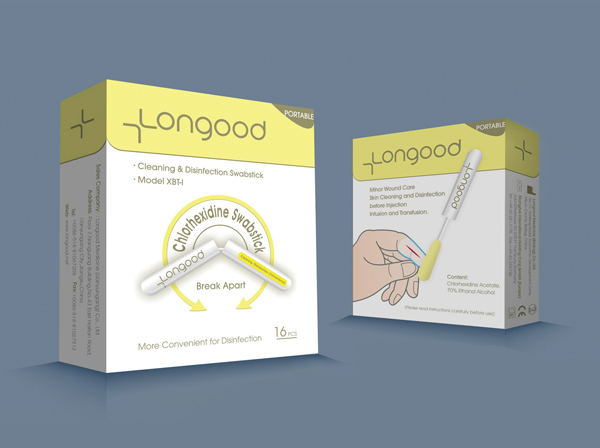 There are a huge amount of patients performing self-injection of insulin in our country, and disinfection and safety issues become increasingly prominent accordingly.Among insulin injection patients, over 80% use the disinfectant and disinfection swabs unlimitedly until they are used up. There are 36.9% cases of cap inner surface down after the disinfectant cap is removed, 17.9% cases of random placement and 50.9% cases of multiple uses of disposable swabs. The improper disinfection not only failed to achieve disinfection objective but also caused many physical discomforts. 版权所有 ◎ 蓝戈医药用品（北京）有限公司 药监批号（京）-非经营性-2010-0075 京ICP备10200325号.